Canned sardines 16,3 - 19 USD = 1 200 - 1 400 INR for 1300gr. 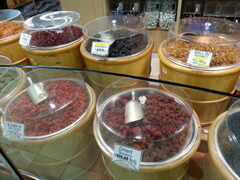 Yogurt 0,27 - 0,34 USD = 20 - 25 INR per 200g. Kerd (skim milk) 0,31 USD = 23 INR for 500ml. Cottage cheese 1,9 USD = 140 INR per 500g. Milk 0,24 - 0,30 USD = 18 - 22 INR per 500ml. 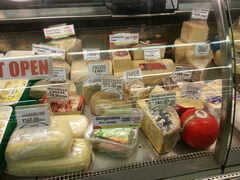 Cheese 16,3 - 50,3 USD = 1 200 - 3 700 INR per kg. Mozzarella Cheese 3,6 USD = 262 INR of 390 gr. Butter 6,1 USD = 450 INR per kg. Carrots 0,82 USD = 60 INR kg. Cabbage 0,34 USD = 25 INR kg. Pineapple 0,34 - 0,48 USD = 25 - 35 INR per kg. 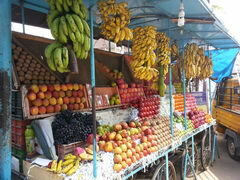 Pashion fruit 2,7 USD = 200 INR kg. 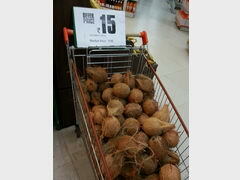 Coconut 0,14 - 0,27 USD = 10 - 20 INR per Unit. Dates 1,6 - 40,8 USD = 120 - 3000 INR per kg. 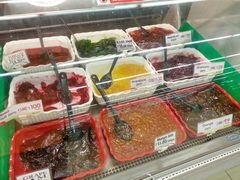 Such a large price range is due to the incredible diversity of varieties from around the world. Grapes 0,68 - 1,36 USD = 50 - 100 INR per kg. 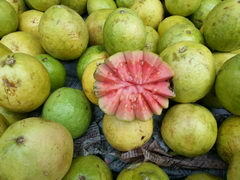 Guava red 0,82 USD = 60 INR kg. Chick 0,80 USD = 59 INR kg. 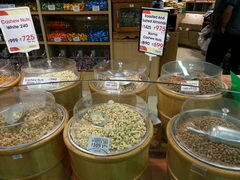 We should also mention the cashew nuts which are grown locally in the South of India. That is why the price for it is one of the lowest in the world, from 550 0 USD = INR per kg. Pistachio 19 USD = 1 400 INR per kg. Almonds 13,2 USD = 975 INR per kg. Turmeric 2,2 USD = 165 INR per kg. Not powdered Turmeric 0,20 - 0,48 USD = 15 - 35 INR per 100g. Masala 3 USD = 219 INR kg. Chile Masala 3,9 USD = 285 INR per kg. 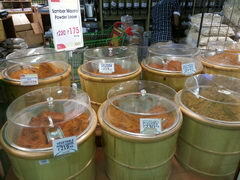 Kashmiri chili powder 2,4 USD = 175 INR per kg. Black pepper, ground 14,9 USD = 1 100 INR per kg. Dried Chile 2,5 USD = 182 INR per kg. 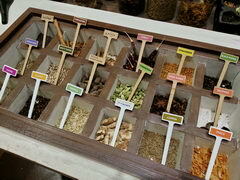 Dried Anise 27,2 USD = 2 000 INR kg. Gobi muttor 2 USD = 150 INR kg. Kalhapuri 3,1 USD = 225 INR kg. Dal Fry 2 USD = 150 INR kg. 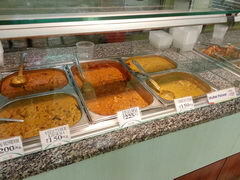 Korma 2 USD = 150 INR kg. Kadai Mushroom 2,7 USD = 200 INR kg. Coconut oil 1,8 - 6,8 USD = 130 - 500 INR per liter depending on the type and manufacturer. Ghee 1,2 USD = 90 INR per 200 ml. Sugar 0,82 USD = 60 INR per 2kg. Lentils 1,8 USD = 130 INR per kg. 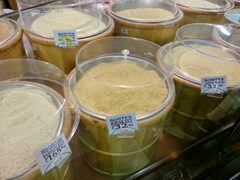 Huge selection of rice 0,34 - 2,04 USD = 25 - 150 INR per kg. 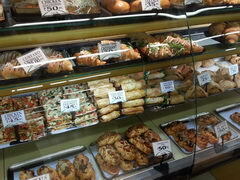 Ready meal, cost per 1 kg. 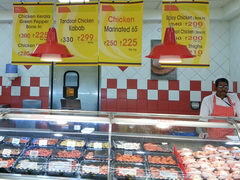 Cutting chicken sausages 2 USD = 145 INR per 150g. 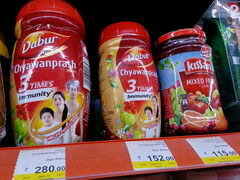 Ayurvedic food paste Chyawanprash 3,8 USD = 280 INR kg. 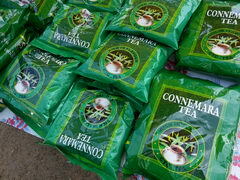 Premium and high quality tea from 4,1 USD = 300 INR kg. and up to 40,8 USD = 3 000 INR kg. Instant coffee Nescafe 3,3 USD = 245 INR per 100g. Coca-Cola 1 USD = 75 INR per 1.75l., аnd 0,61 USD = 45 INR per 1.25l. 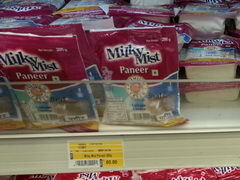 White bread 960,5 USD = 70 700 INR t.
Fresh tortillas 0,30 USD = 22 INR for 4 pcs. medium size. 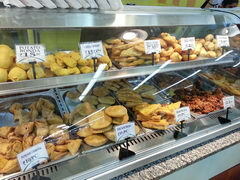 Hindu goodies 0,10 - 0,41 USD = 7 - 30 INR per 1 pc. Gulab-Jamuna (balls of powdered milk in syrup) 0,19 USD = 14 INR per Unit. Rasgulla (cottage cheese and sugar balls) 0,20 USD = 15 INR per Unit. 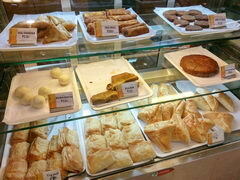 Cakes, buns from 0,14 - 0,82 USD = 10 - 60 INR per pc. 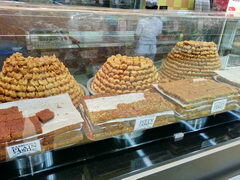 Sweets on weight 4,8 USD = 350 INR kg. Jams 13,6 - 25,8 USD = 1000 - 1 900 INR per kg. Nutella 3,4 USD = 250 INR per 350 grams. 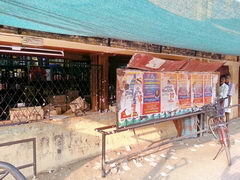 It should be noted that in Kerala the sale of alcohol is severely limited, and you can buy alcohol drinks only in specialized shops or licensed bars. 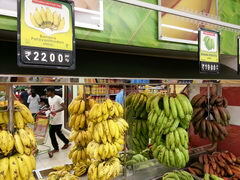 Interesnoy feature of markets in India are price - they are about the same as in the major supermarkets. 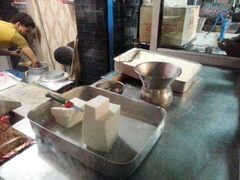 For example, North India, Rishikesh: Paneer Cheese and Yogurt 2,7 - 4,1 USD = 200 - 300 INR per kg. - delicious!